One sport that has gained newfound popularity is the MMA or the Mixed Martial Arts competition. The MMA was initially endorsed as a competition with the intent of discovering the martial art that’s most effective in real, hand-to-hand combat situations. A martial art is a form of combat practice used in entertainment, competitions, physical fitness, and mental and spiritual development. It is also promoted as a self-defense method. Most martial arts have a ranking system, from beginner level to grandmaster level. The rank is shown through the color of the martial artist’s belt; the color or style of the belt changes as he goes up the rank. This system was made popular by Kanō Jigorō, the Father of Judo. The excitement brought about by MMA superstars are akin to the heyday of the wrestling era, a couple of decades back. With the popularity of MMA, more and more people became interested in learning martial arts. They are curious how these martial artists become so versed with their moves. They get curious about the environments where these athletes grew up and honed their skills. With fun movies like Kung Fu Panda and Karate Kid, we could imagine trainings happening on temples of mountains, with grandmasters specializing in powerful fighting techniques. In no particular order, let us list the top 5 countries that produced the most popular martial arts of today. If we think about a country related to martial arts, China is foremost in our mind. Not surprising since martial arts is an element in most of their movies, especially the ones packed in action and adventure. Over the centuries, different fighting styles have been developed in this country. These styles often belong to a family, school, or sect of martial arts. 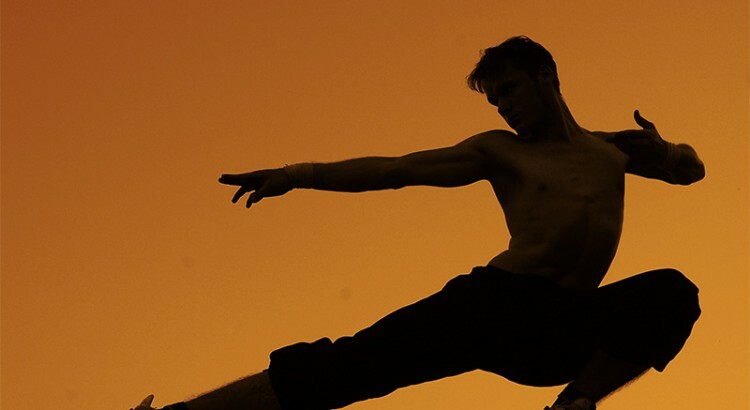 The physical exercises are inspired by legends, religions, and Chinese philosophy. There are styles that focus on the internal, which is a person’s energy flow or life force; other styles focus on the external, which involves cardiovascular fitness and improving muscle functions. Two of the popular fighting arts in China are the Shaolin Kung Fu and Wushu. The participation of Shaolin in combat was attested during a time when the Shaolin monks had to defend their monastery against bandits, and their succeeding role at the Battle of Hulao. Wushu, on the other hand, was developed in the mid-20th century. It has two disciplines: forms and sparring. This country is the home of Judo, Karate, and Aikido, along with hundreds of martial arts schools, and thousands of martial arts styles. The history of Japanese martial arts can be found during the time of the caste system and the samurai, as they restricted the use of weapons in the society. One of the main schools of Martial arts in Japan is koryū. Koryū is considered a traditional form of martial arts, and its main purpose was to be used in war. Some sports under koryū are sumo, jujutsu, and kenjutsu. Korean martial arts started as a practice in the military. Over time, the fighting methods were adapted by the populace for recreation and personal growth. Among the most popular Korean martial arts are taekwondo, hapkido, ssireum, and taekkyon. Taekwondo currently holds the title of the most successful Korean martial art. It is said to be practiced by more than 70 million people around the world. It is also one of the major events in the World University Games, the Commonwealth Games, and the Olympics. Like most martial arts, colored belts are presented to students to show their progress in the art, with the goal gearing towards the black belt. Every belt signifies a level of skill or set of skills. Two of the most popular martial arts that originated from this country are the Brazilian Jiu-Jitsu (BJJ) and Capoeira. The concept promoted by BJJ is that a smaller and weaker person could defend himself against a bigger and stronger opponent, with the use of the proper technique and leverage. This can be done by being able to take the fight to the ground, and being able to apply chokeholds and joint-locks to subdue the assailant. On the other hand, Capoeira has a combination of music, acrobatics, and dance. This form of martial art was influenced by Brazilians descended from their West African ancestors. It is popularized by its complex moves showing speed, power, and kicks and spins. Israel is the home of Krav Maga, the military-developed, self-defense method. Krav Maga is a combination of judo, aikido, wrestling, and boxing. It gives importance to fighting in real-world situations. Developed in the mid-20th century by Imi Lichtenfeld, Krav Maga emphasizes neutralization of threats, immediate offense and defense movements, as well as aggression towards the enmy. Different variations of Krav Maga are taught in many countries, and have been adopted and developed by intelligence and law enforcement organizations.